This Sunday 24 June, Show Media will publish its latest issue of the Beau newspaper, themed around summer City style. It will be distributed with 190,000 copies of The Sunday Times to London and the south-east. Beau is the sibling publication of Brummell magazine, the little black book for City professionals. 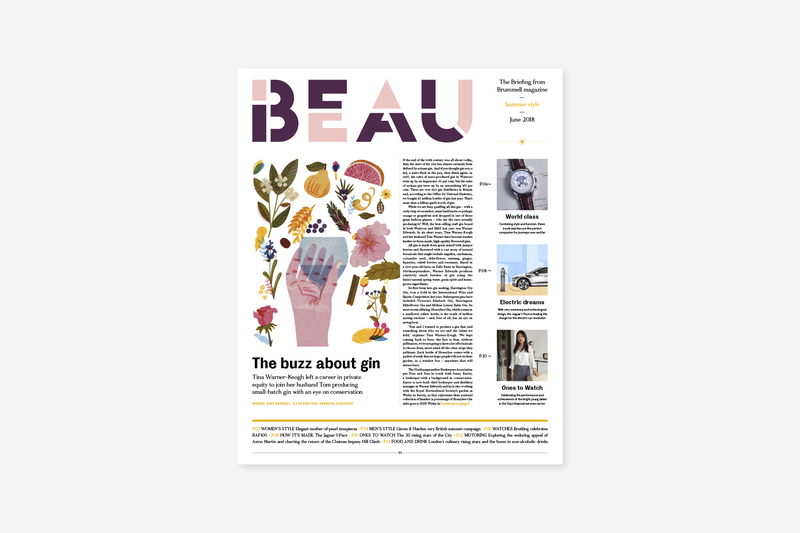 Beau’s pages offer a taster of the best of Brummell’s City intelligence, from style, watches and travel to motoring, food and drink. In this issue, we take a look at Brummell‘s annual ‘Ones to Watch’ listing, celebrating the City’s young rising stars. Also featured is an illustrated guide that gets under the bonnet of Jaguar’s new all-electric car, a round up of the hottest new talent on London’s restaurant scene, and an interview with Tina Warner-Keogh, the former City executive who, along with her husband Tom, is behind gin brand of the summer, Warner Edwards. Pick up a copy of The Sunday Times this weekend to find out more.